Xiaomi Mi5 is expected to carry a very affordable price tag, at least more affordable than the likes of what Samsung brings to the table. Now, we might have a clue as to what is going to be the latest pricing of the upcoming flagship smartphone. 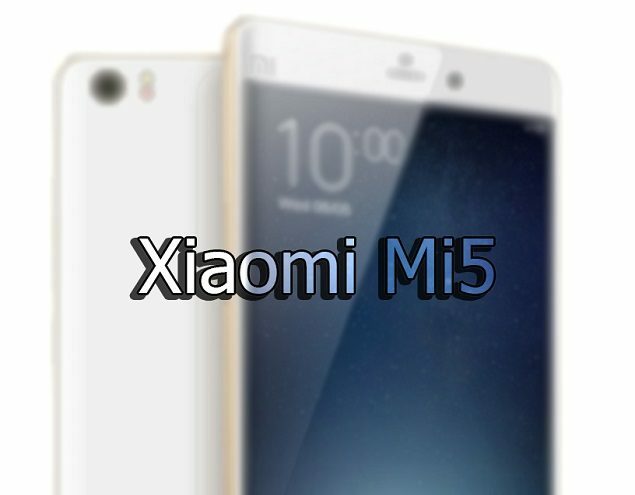 According to a source, Xiaomi Mi5 is going to be feature a base price tag of $309, while the highest configured is going to carry a price of $463. Currently, we do not know what specifications the base model is going to be incorporated with, but we are confident that it will come running with a Snapdragon 820, and perhaps 3GB or RAM, which is similar to the road that OnePlus took with when it decided to release two flagship smartphone models. We expect that the highest configured model is going to be running 4GB of RAM. As for the internal storage, we know that Xiaomi does not incorporate an expandable storage slot or a removable battery for that matter so count those out if you are expecting these features. However, we do expect that the upcoming flagship will come packing a lot more storage as compared to the company’s Mi Note Pro, which came in the 64GB storage model. For a flagship smartphone, this is far too low for an internal storage value, and despite the fact that several users out there will not have use for more than 64GB of on-board memory, there are a significant number of power users that will fill up their storage in a span of a few months. It is also expected that all Xiaomi Mi5 models are going to feature a custom incorporated Force Touch tech; like the one that is present in Apple’s iPhones. As for the pricing, if the leak turns out to be true then it looks like the company can expect to sell a ton of smartphone units, despite the fact that 2015 turned out to a slow year for handset sales. What do you guys think of the pricing of the upcoming smartphone model? Dirt cheap right? Let us hope that Xiaomi is able to keep its pricing in check. Let us know what you thought of the upcoming handset.